Posted on Monday, March 16th, 2015 at 7:56 pm. This past December was my first time traveling back to Taiwan in over nine years. And the last time I went, I was 10, so I honestly don’t remember much from my trip then. It was truly a life changing experience and one that has changed my perspective not only on Taiwan, but also on the United States. 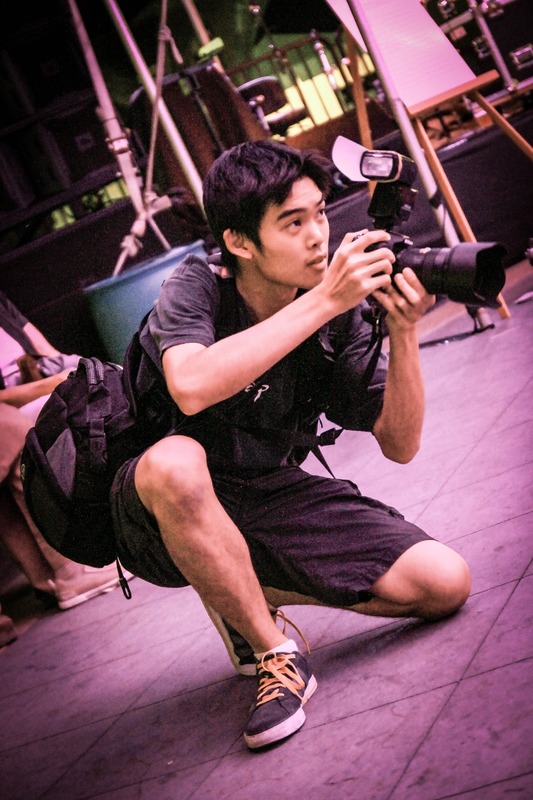 And as a photographer, I wanted to document every bit of my journey through Taiwan with my mother and cousin. After visiting my family in Kaohsiung, we decided to travel up the east coast of the island, as we had come down from Taipei on the west via high-speed rail. So our first stop after Kaohsiung was in Taitung. After a day in Toroko Park, our taxi driver took us back to our hotel in Taitung and we headed out onto the streets in search of food. I believe we were around the intersection of Zhengqi and Zhongshan roads when I captured this image. The streets were lined with stalls, selling street food, clothes, fruit and basically anything and everything you’d expect to find in a outdoor Taiwanese market. I had just bought a cup of sugar cane juice (which was quite heavenly) when I heard the familiar sound of a moped speed by and stop in front of me. A couple had stopped in front of a produce stall and the woman on the moped hopped off to browse through the vegetables. It was then I realized there was actually a child as well. 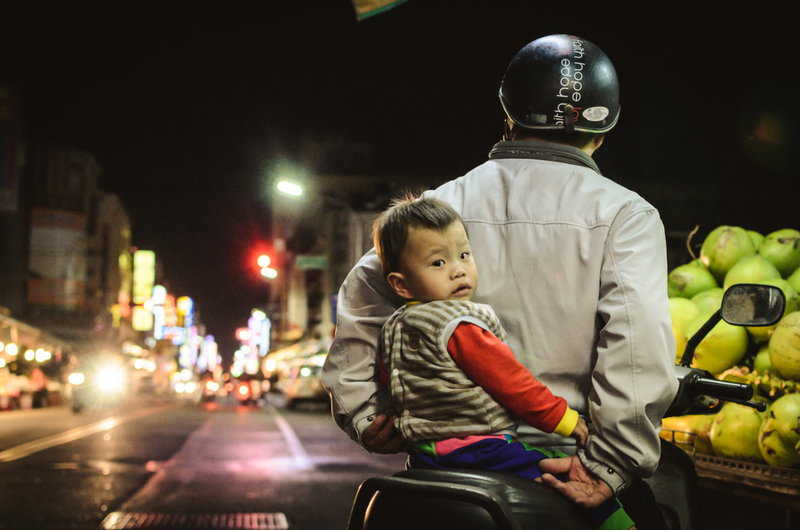 He had been sandwiched between the mother and father, as a basic form of safety I suppose (not that traffic safety is really followed in Taiwan…). Here he was, holding onto his father’s massive hands as his mother bought ingredients for a future meal. And as I kneeled down to take a shot, he just happened to turn his head and stare right into my camera lens. Honestly, he was probably more confused as to what I was doing. To him, I was a faceless individual, a guy with a lens in place of a face. But to me, he was a glimpse into what my childhood could have potentially been, had my parents not immigrated to the United States. And it was that one choice that had given us two completely different lives. [PHOTO] Taiwan: Rush Hour [PHOTO] Taiwan: Potato Twists [PHOTO] Taiwan: Immersive Help Us Build a Guide to Taiwanese American & Taiwan-Related Resources!